They have altered their stance and address position to try and compensate for a fault in their golf swing (such as a slice). They simply fail to check their alignment on a very regular basis and bad habits silently creep in. In this article and video, we’ll recap what proper alignment consists of. 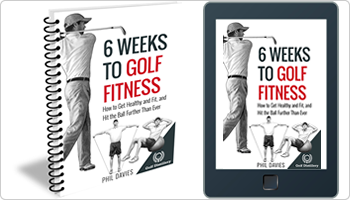 I’d also like to offer you some tips and advice for maintaining a great set up position throughout your golfing career. A consistent golf swing and a consistent golf game can only be built on proper alignment. Don’t try and correct faults in your game before addressing this issue. If the club points directly at the target, or to the right of the target, your stance is what we call closed. If the club points way left of the left of the target, your stance is what we call open. The club should point parallel left of the target (imagine the line along your feet and the line from the ball to the target are like 2 train tracks). This is a square stance. Remember – your knees, hips and shoulders should be in line or parallel to your feet. If you can, have a friend hold a golf club across your hips and then your shoulders while you are in the set up position. Step away and check where this club is pointing. 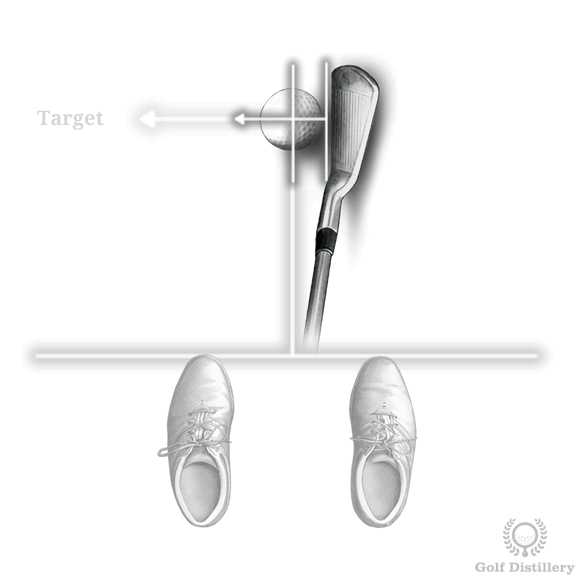 Don’t forget the angle of the club face as you address the golf ball. This should be square (at right angles) to the ball-to-target line (see image below). 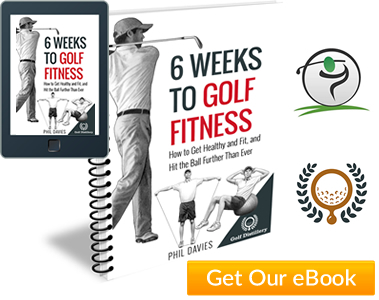 Proper alignment on the golf course isn’t a technically difficult subject – it’s common sense. But because it’s so basic, I think that’s why so many club golfers forget to check it on a regular basis. 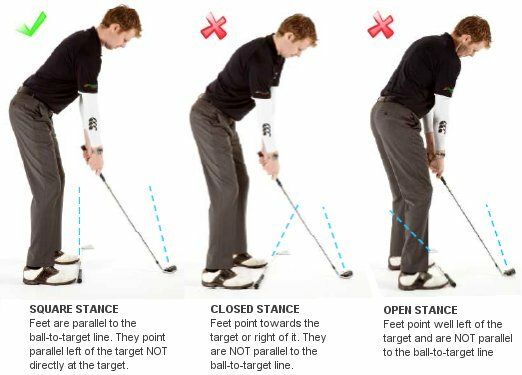 Each time you visit the range, check the position of your feet, knees, hips and shoulders. Place a couple of clubs or alignment sticks along the ground as a visual reference. If possible, ask someone to stand behind you as you hit balls and ask them to check your hips and shoulders (as these are more difficult to check yourself). Standing behind the ball looking at your target, pick a mark a few feet in front of the golf ball that is directly on your ball-to-target line (it could be a leaf or a patch of dark grass for example). Set up as normal and imagine a line running from your ball to this mark. Adjust your feet, hips and shoulders so they are parallel to this line. Practice tip #3 with a spare club in the house or office 3-5x a day for 7-10 days. Run through the routine of standing behind your ball, picking a mark and lining up parallel to that mark. This can then become part of your pre shot routine on the golf course to ensure you line up to every shot correctly.